We wish to enter into a business alliance i.e. associate with your esteemedorganization for search, recruitment, selection and management of manpower from Nepal. We are confident that together with you, we can make great forays into Search, Selection, Recruitment, Management and Placement business. We feel that there is an ample scope for us to work for you to fulfill your needs for manpower from Nepal. Nepalese workmen are well known for their skill, hard working and sincerity besides being fit in any extreme of climatic condition. You may, therefore, like to recruit in Nepal to meet all manpower requirements of your clients and we could work with you, or on your behalf, to help you meet all your obligations to your clients. ■ All categories of workforce (Professional, Skilled, Semi-skilled, unskilled) are legally available for immediate placement. ■ They are hard working and can sustain their working capability even in the most arduous conditions. We seek to have an associate /alliance with you to work jointly, helping each other to make available the requirement manpower urgently and effectively. 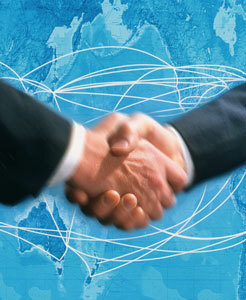 If necessary we can meet, discuss and finalize other terms and conditions to our mutual business interests. Should you have any query in this regard, we will be very glad to clarify the same.